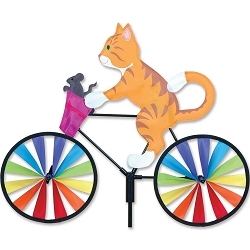 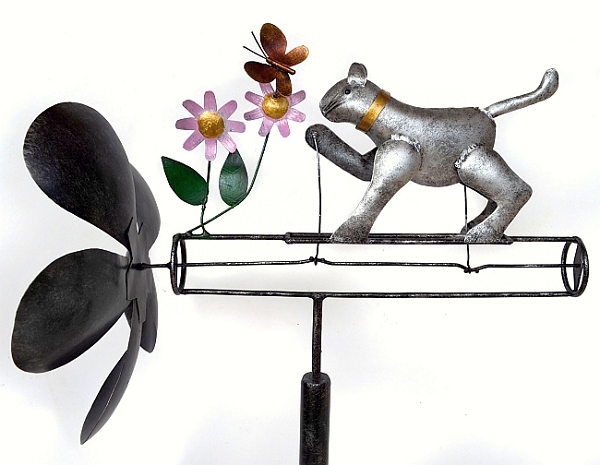 Grey Cat Whirligig - Out for a playful afternoon in the garden, the kitty featured in our Grey Cat And Butterflies Metal Whirligig is certainly one mischievous chap! 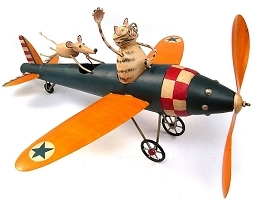 When the wind blows the propeller will cause the cats paw to swipe at the butterfly while his tail twitches in the wind. 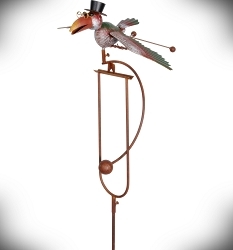 This whirligig is a charming ornamental piece for your yard or garden and will jazz up any spot you decide to place it! 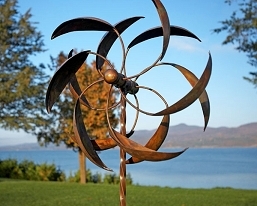 Each handmade, all-metal whirlygig is wind-propelled. 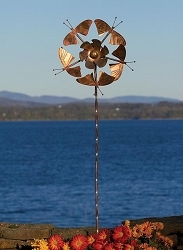 When the wind hits the propeller, they each do clever things. 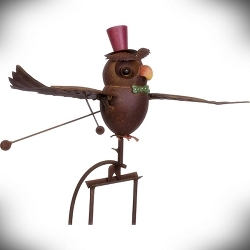 The perfect gift for your favorite gardener. 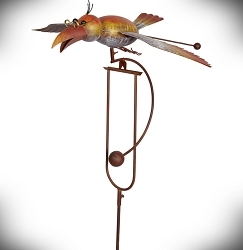 Each is individually boxed, including a 3-part, 47-inch high pole for easy mounting. 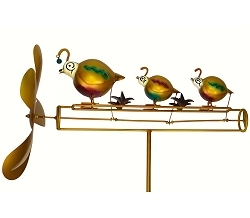 No more than a minute to install and they are ready to surprise and delight for many seasons to come. 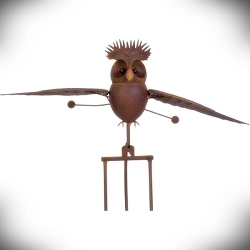 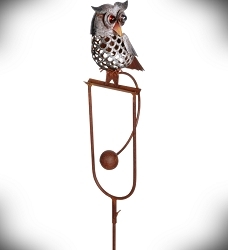 Rocking Bird with Glasses Kinetic Garden Stake 61"
Rocking Owl Perched Kinetic Garden Stake 41"
Rocking Elegant Owl Kinetic Garden Stake 62"
Rocking Pompadour Owl Kinetic Garden Stake 62"